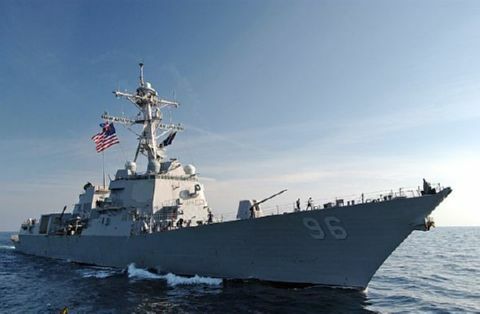 The USS BAINBRIDGE (DDG-96), an Arleigh Burke class destroyer, was commissioned on 12 NOV 2005. USS BAINBRIDGE, the forty sixth "Arleigh Burke", was built at the Bath Iron works in Bath, ME. After commissioning and shake down, BAINBRIDGE joined the Atlantic Fleet and began a career of eastward deployments to the "MED" and "IO". In April 2009, USS BAINBRIDGE, carrying a SEAL Team, shadowed the hijackers of the SS Maersk Alabama in the Indian Ocean off of Somalia. The embarked SEAL Team shot and killed the three hijackers holding the SS Maersk Alabama's Captain aboard the ship's life boat. USS BAINBRIDGE serves her country from her homeport of Norfolk, VA.